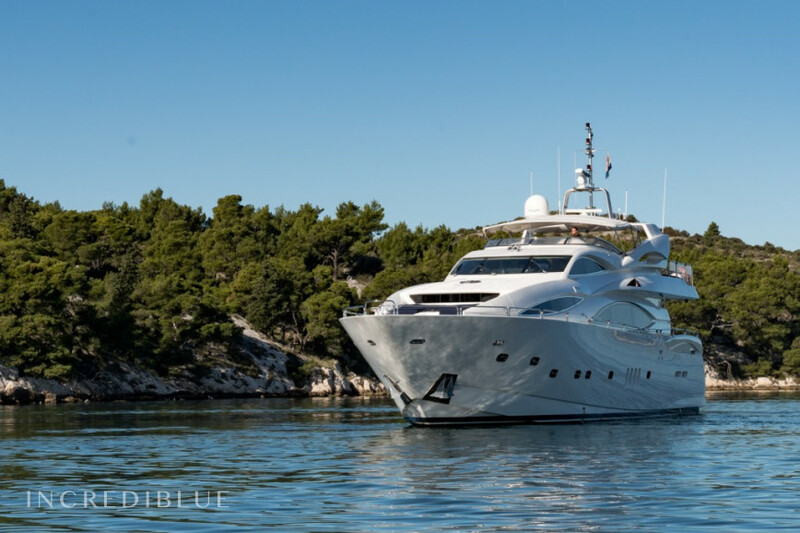 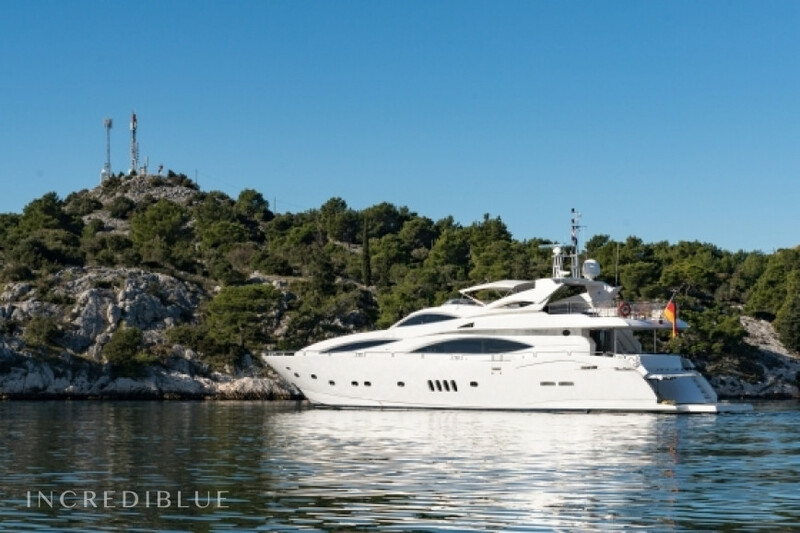 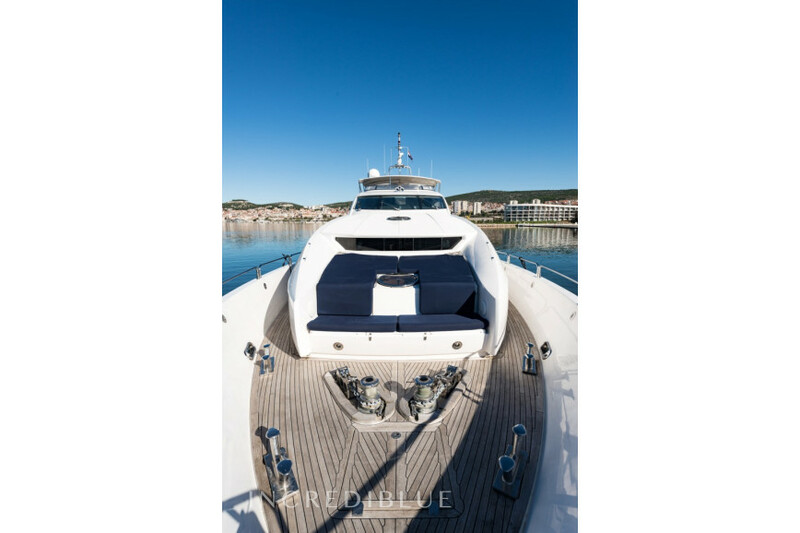 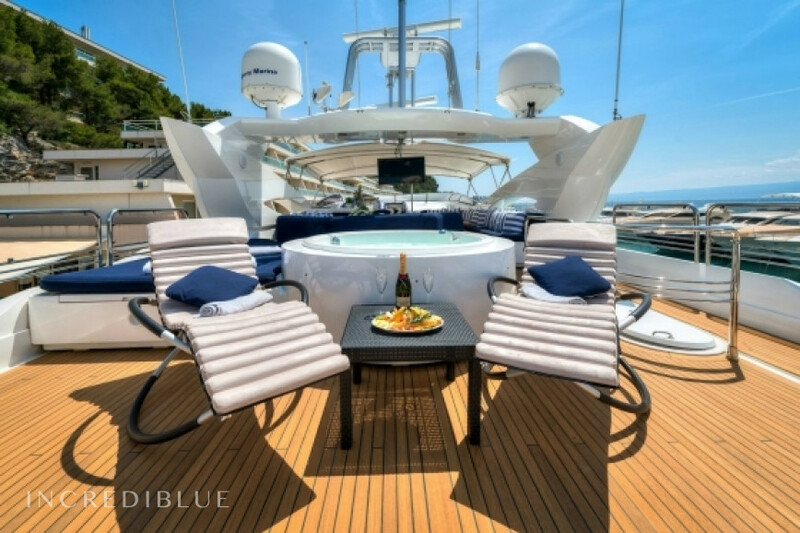 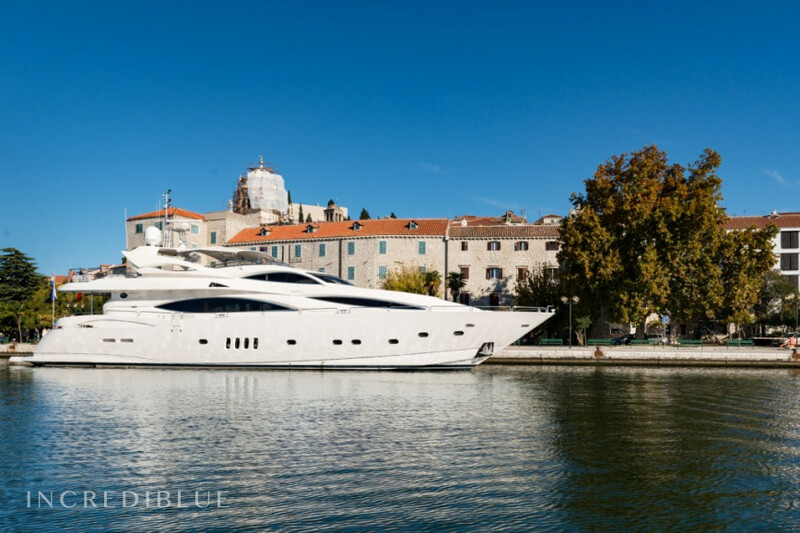 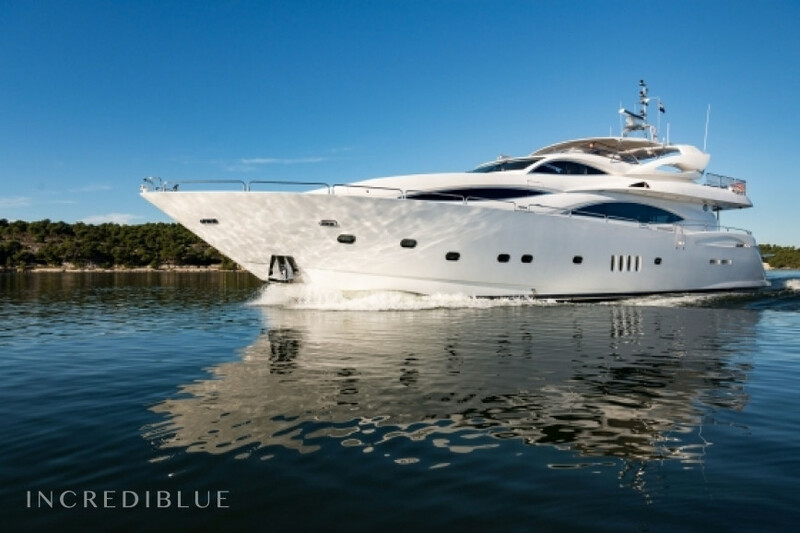 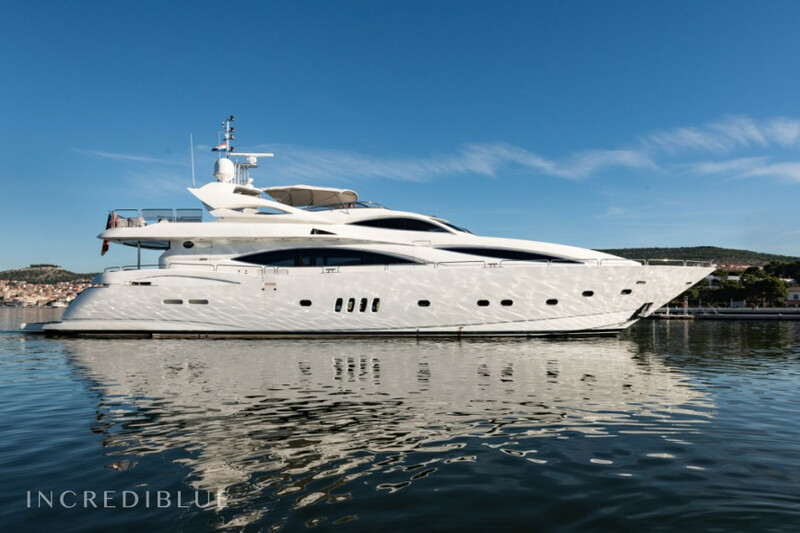 Sunseeker International 105 Rent this stylish Sunseeker Yacht 105 for a dream holiday. 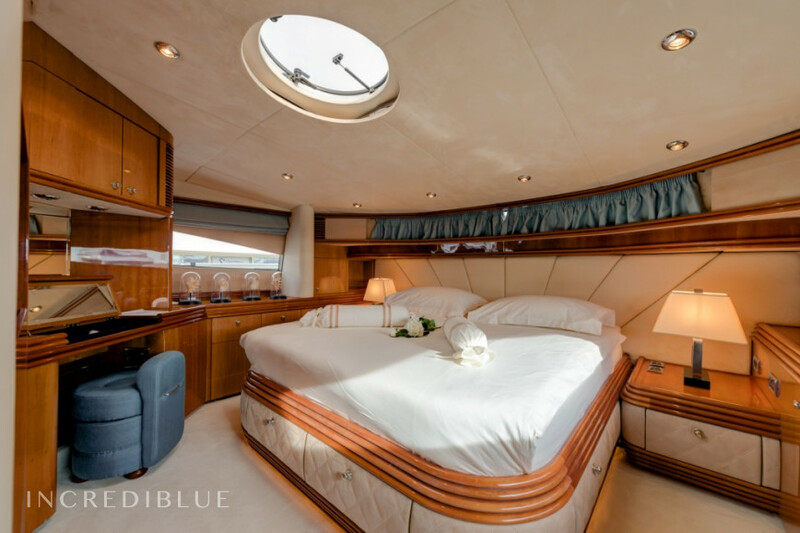 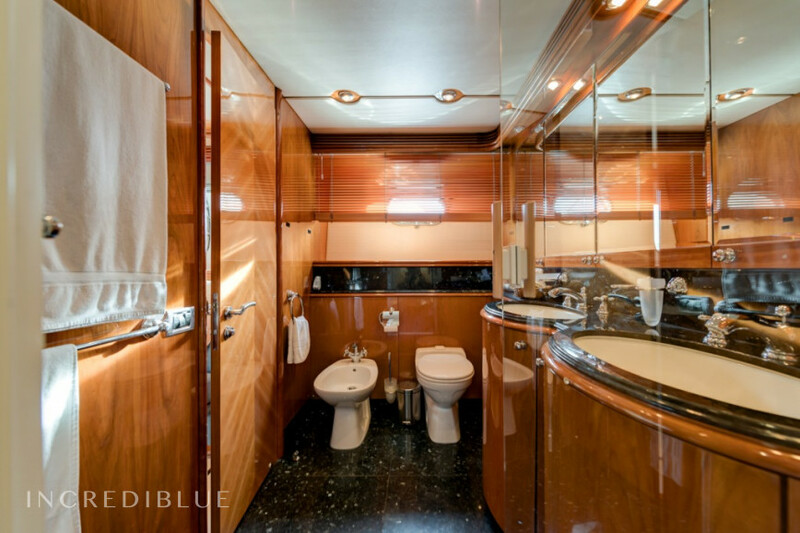 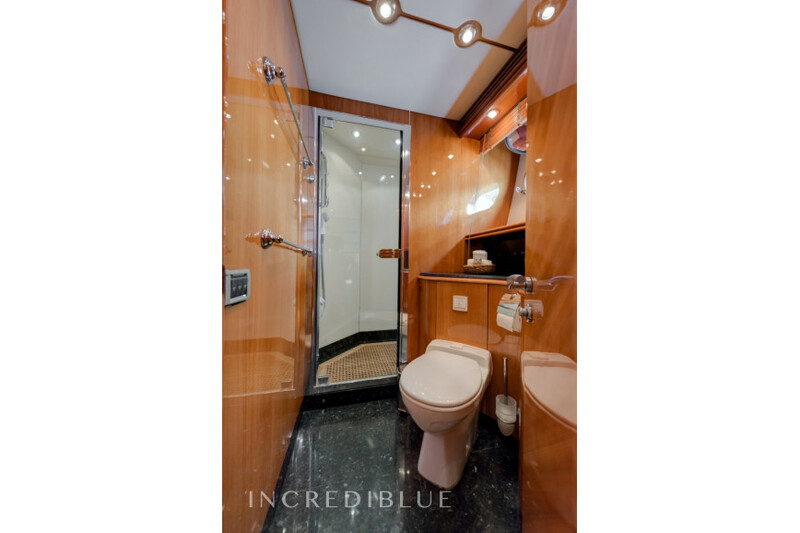 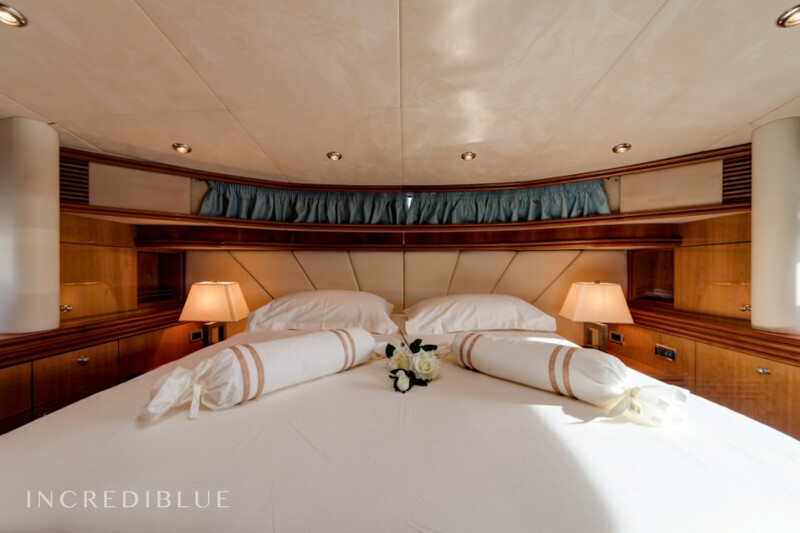 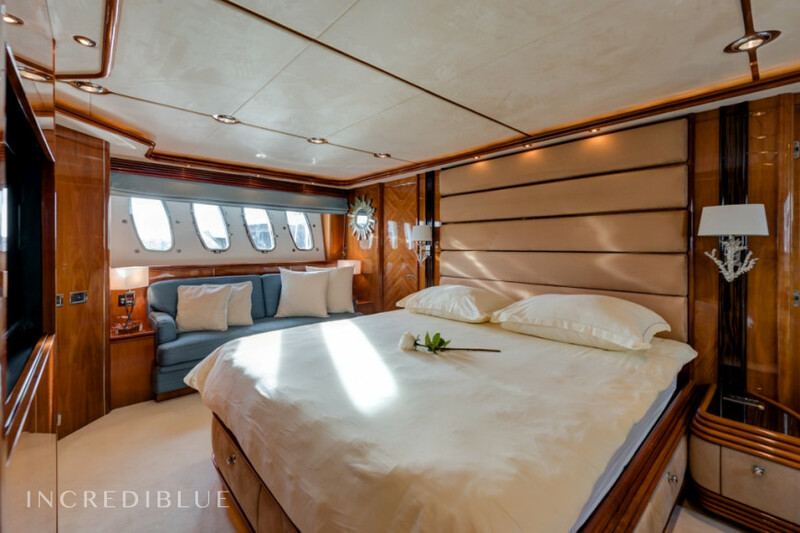 4 en-suite cabins: Master double bed cabin/en suite; VIP double bed cabin/ en suite and 2 x Guest twin bed cabin /en suite convertible into double. 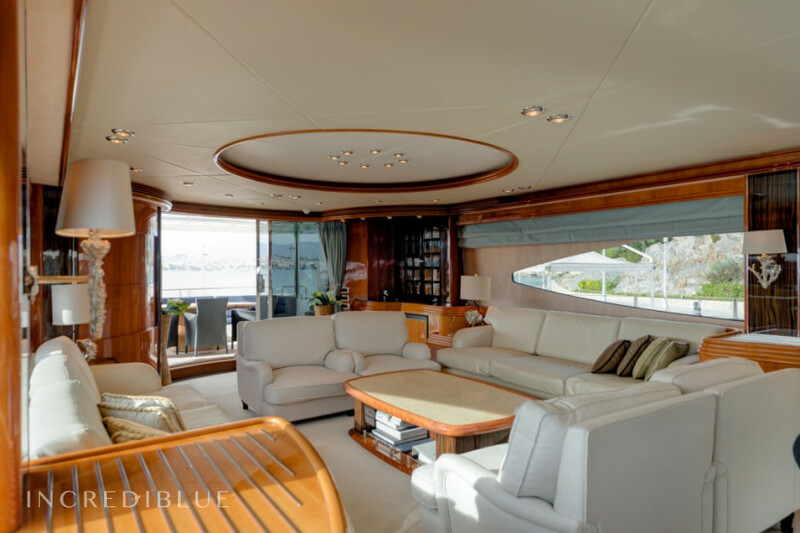 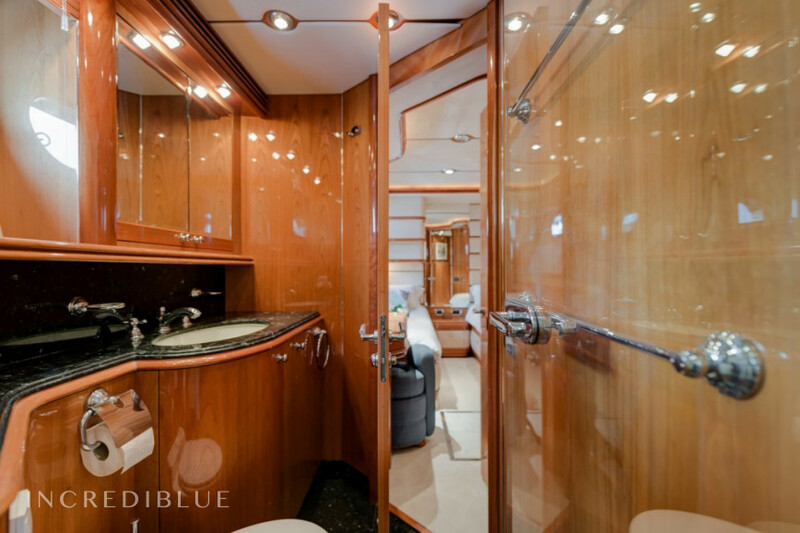 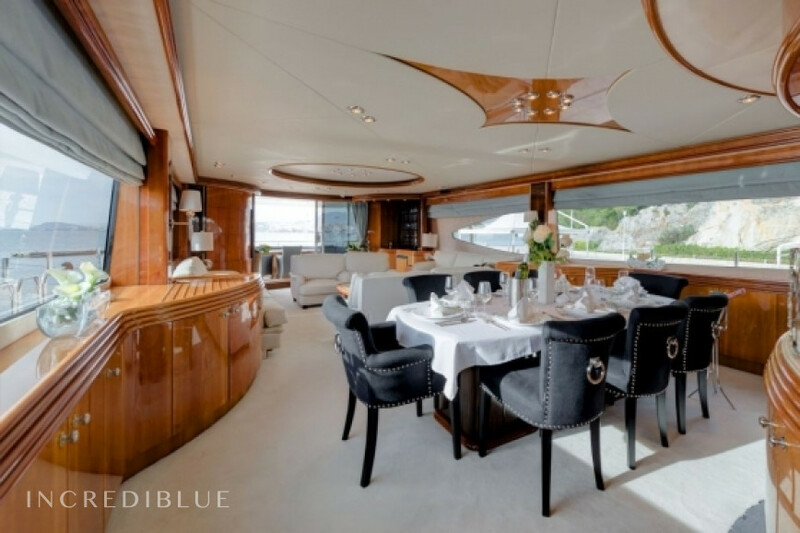 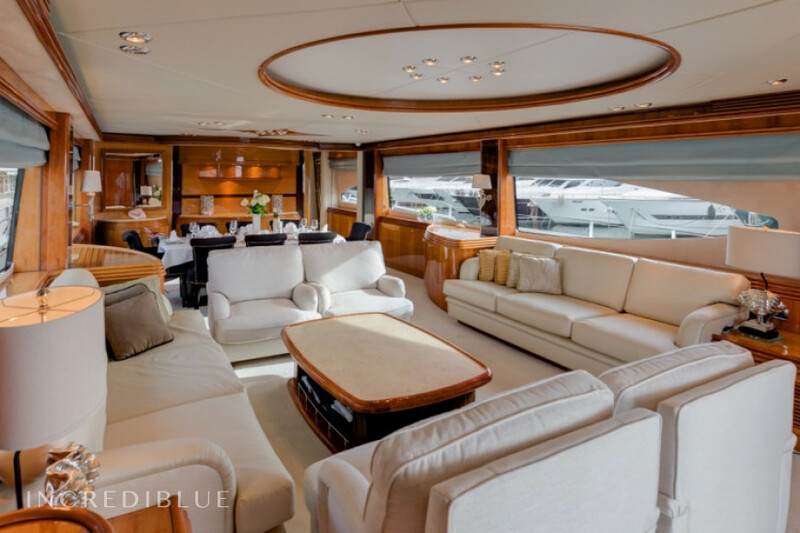 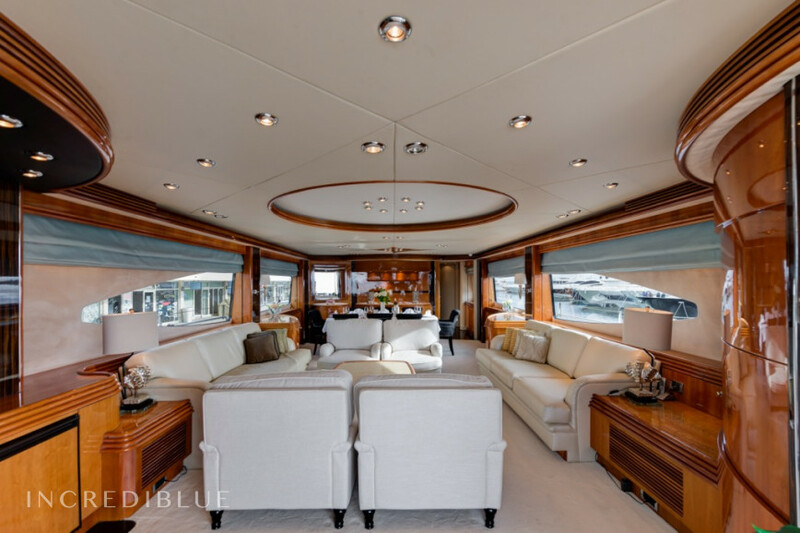 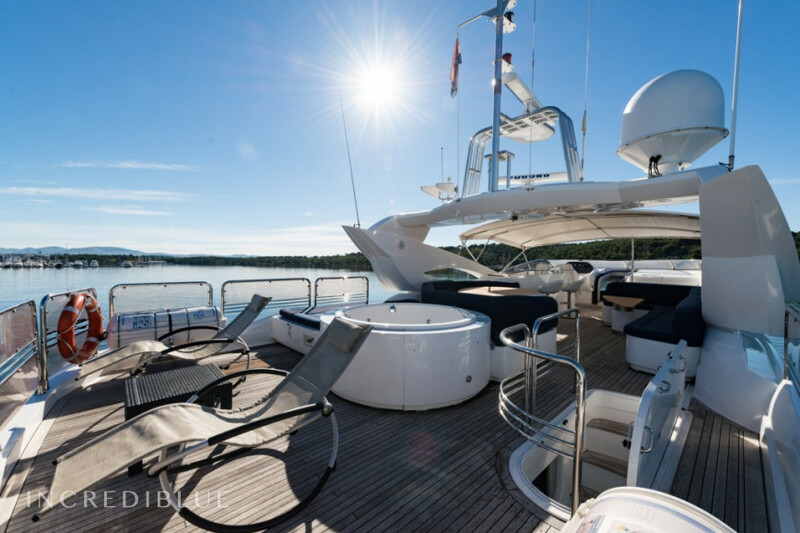 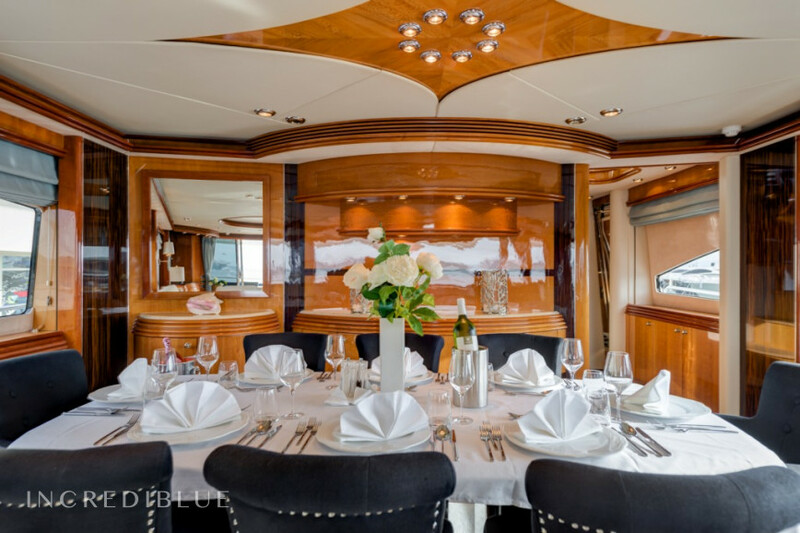 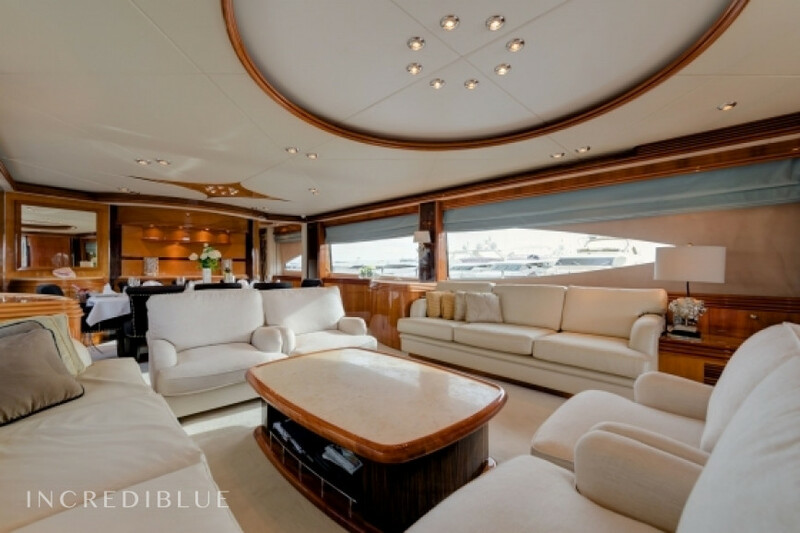 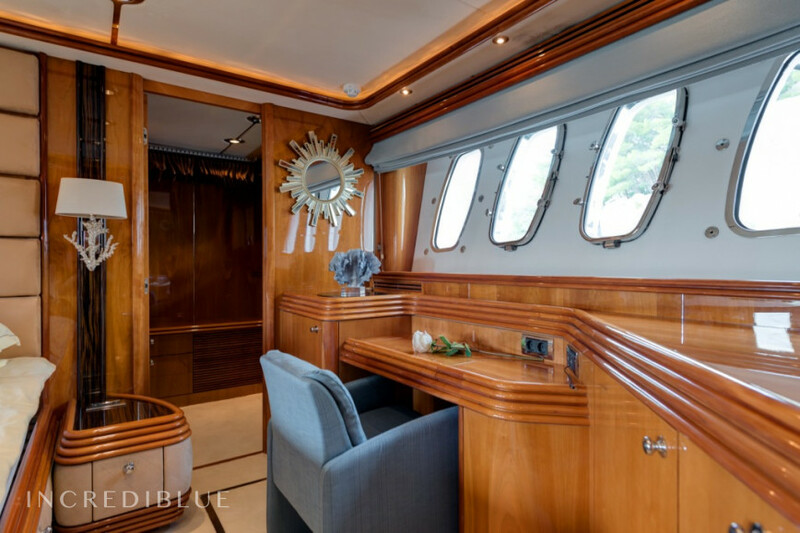 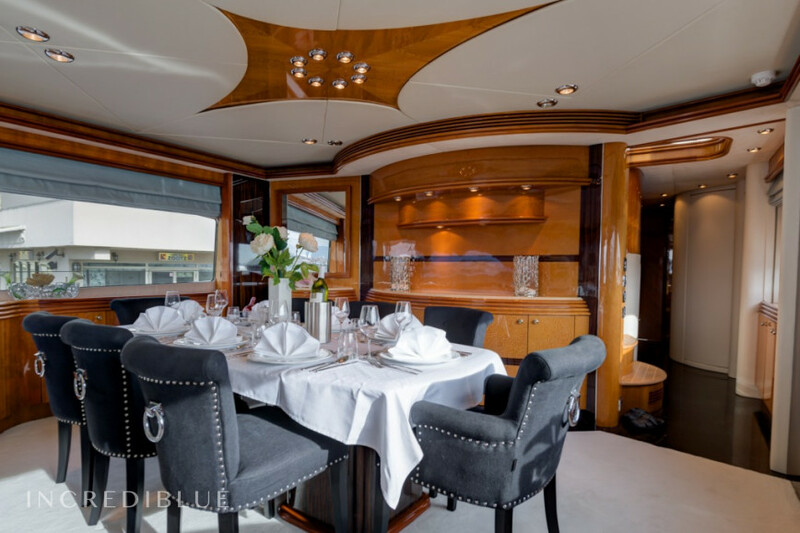 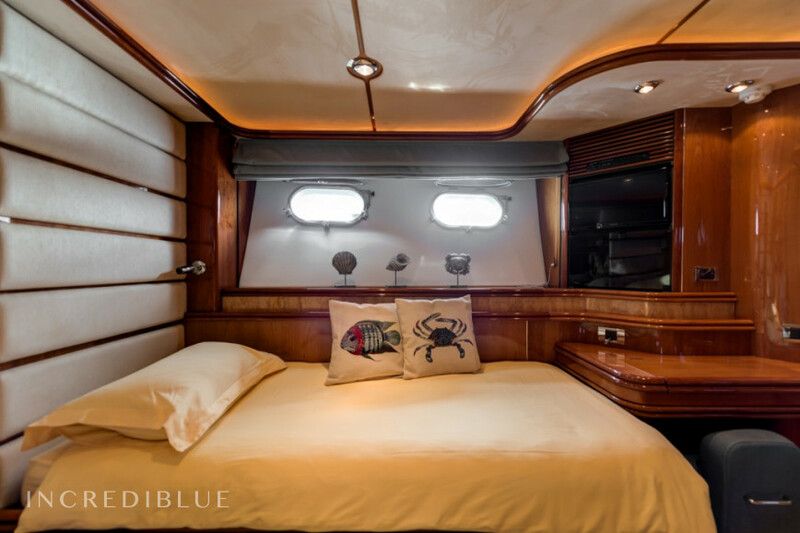 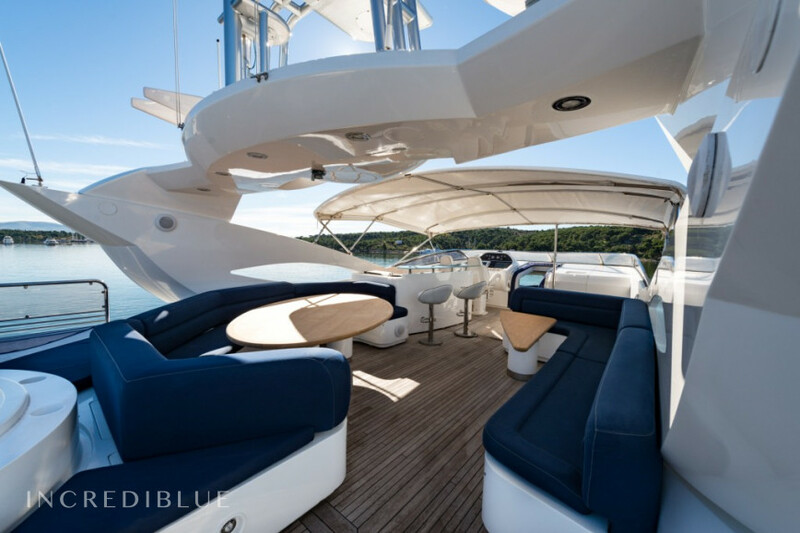 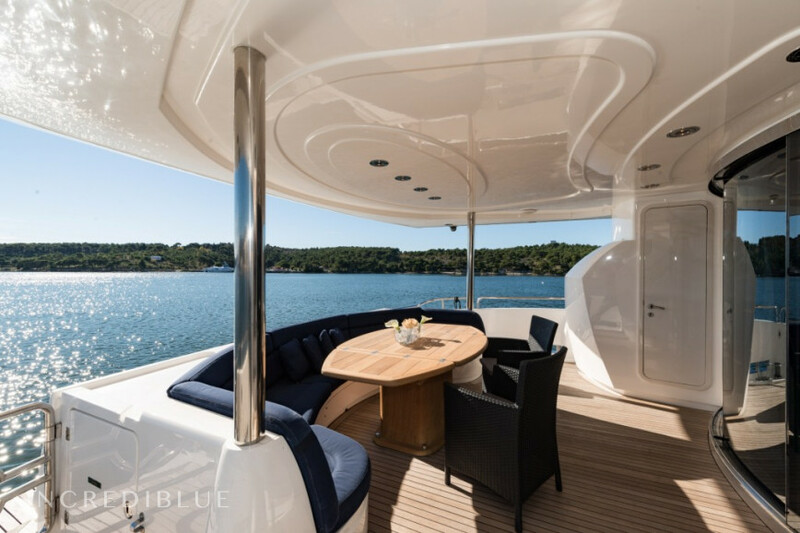 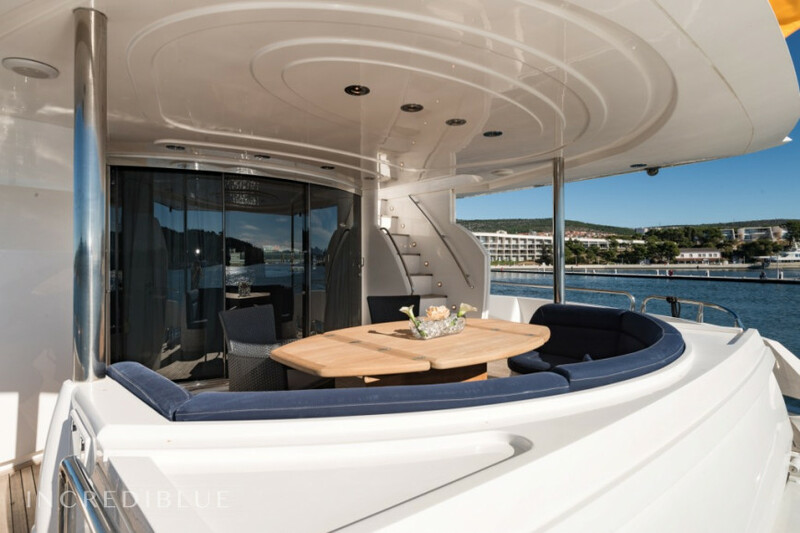 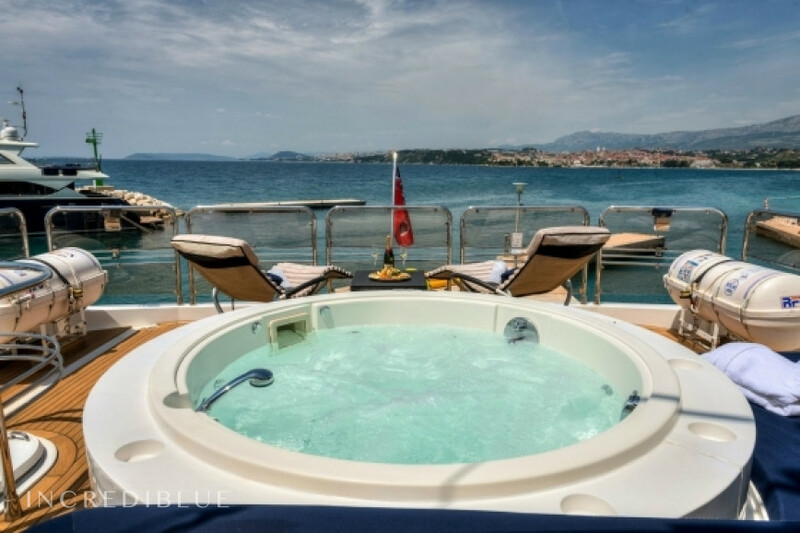 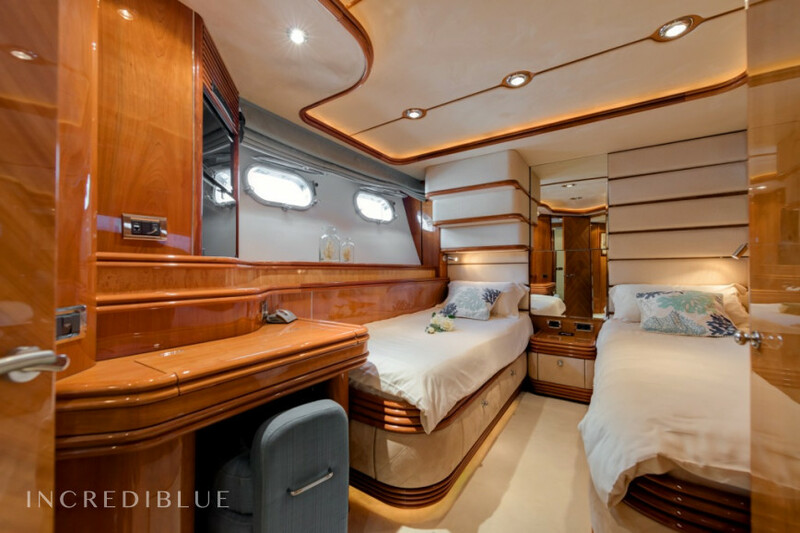 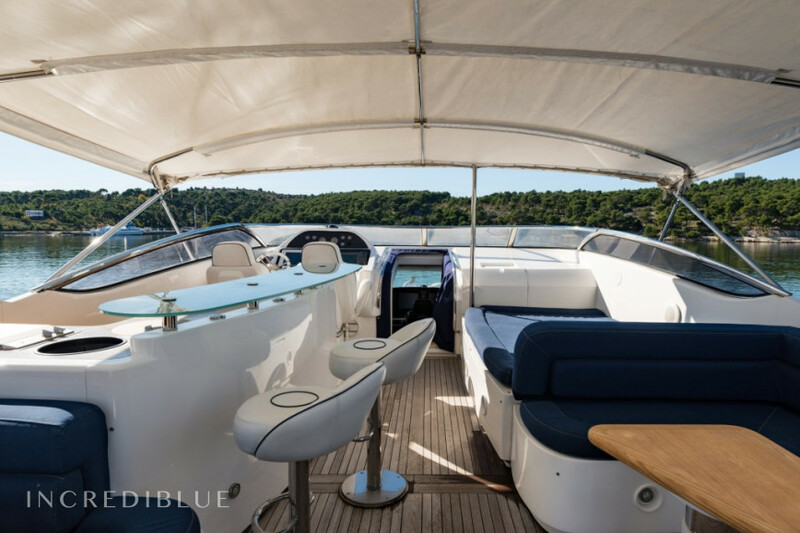 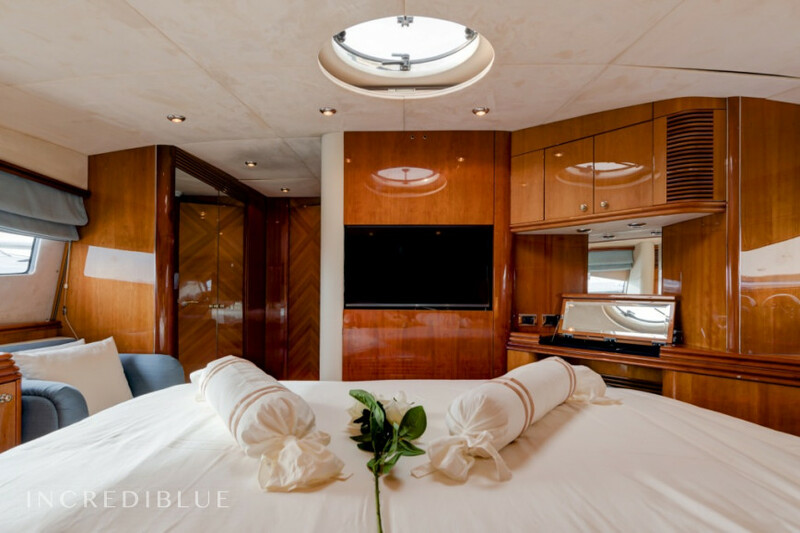 Upgraded Audio and Navigation Sonos system individually controlled by Ipod from the deck, from flybridge and from saloon ,All cabins are equipped with SAT TV/CD , radio –individually controlled. 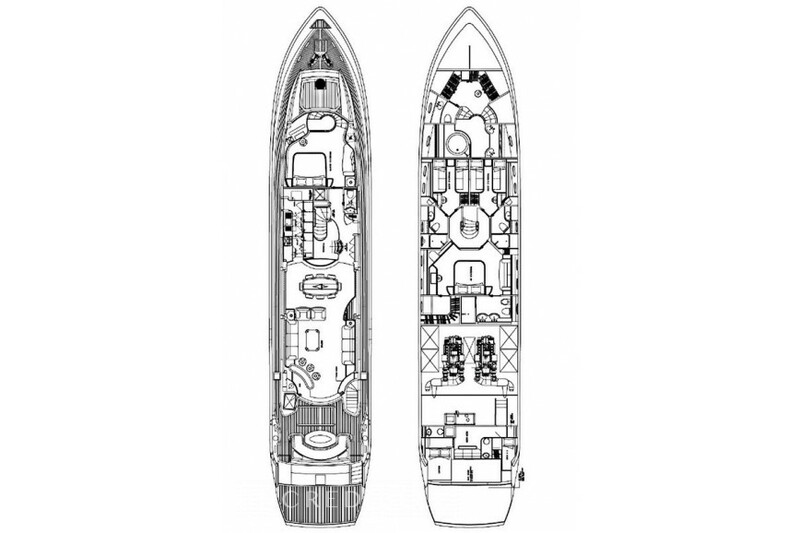 FREE OF CHARGE (STANDARD PACK): Wi Fi 1 GB, tender with outboard engine, GPS / chart plotter, bedclothes, towels - std size x 2 per person, size,beach towels, 5 L fuel for outboarder, cooking gas x 2 bottle, fresh water, snorkeling equipment set x 3, dishes liquid with sponge, bin bags, toilet paper, soap, table cloth, paper tissues.